Weight: Dry - 1,139 lbs. | Filled - 6,310 lbs. 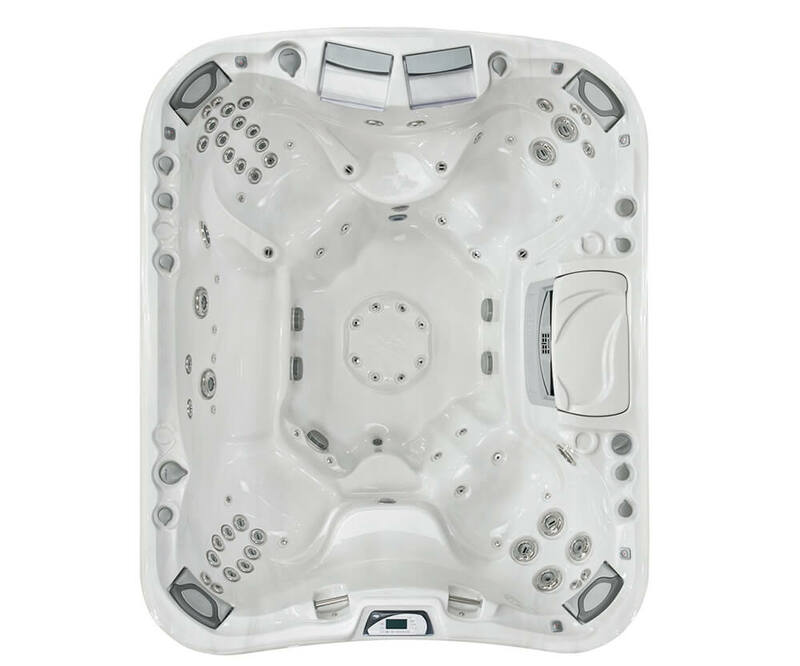 The roomy Aspen® model has room for up to eight adults, the highest seating capacity from Sundance®Spas. This spa truly has the best of everything, from the most Fluidix™ jet variety available to illuminated grab bars. 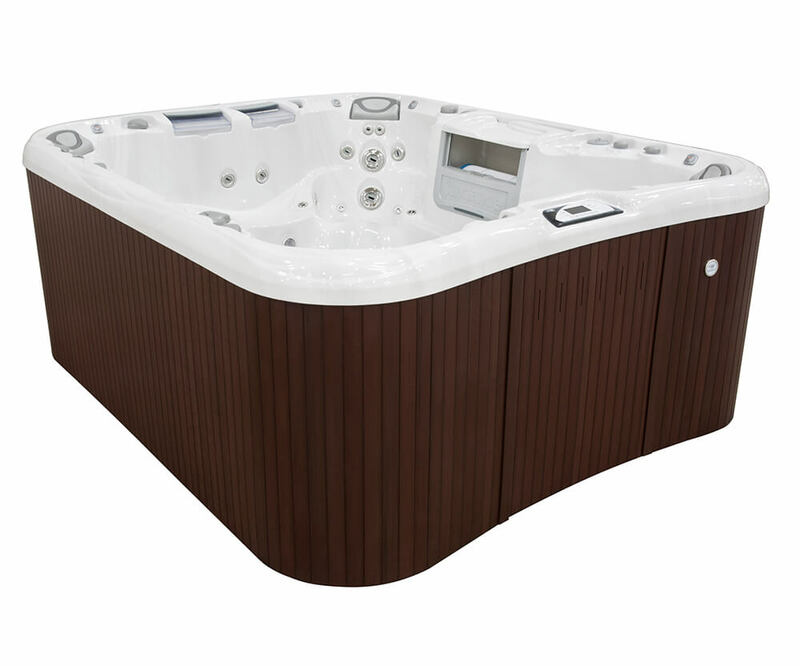 It’s also the only Sundance® spa with bench seating for a side-by-side massage session. The customer-favorite seat gives you our deepest immersion massage experience, easing discomfort along your neck, back, wrists and calfs to help strain fade away.